It all began with an odd-fire motor which has a crank that 2 connecting rods share the same journal (like a small block Chevy). The odd fire motor fired at 90* and 150 * intervals, causing severe harmonics. 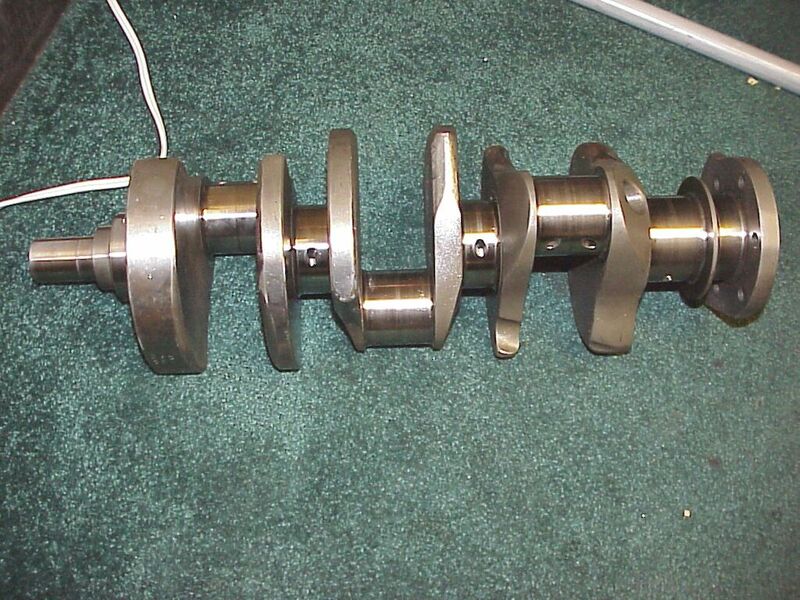 The crankshaft rod journals were split 15* and the end result was the even-fire motor. The even fire motor fired every 120*. When the rod journal was split, it caused the rod to fall off-center of the piston pin. 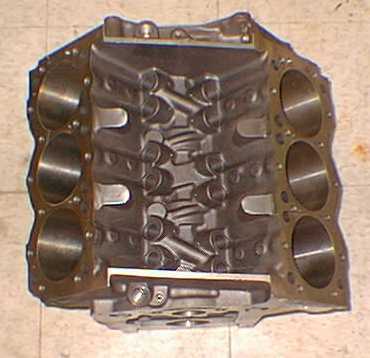 The on-center block was made to center the connecting rod on the piston pin. 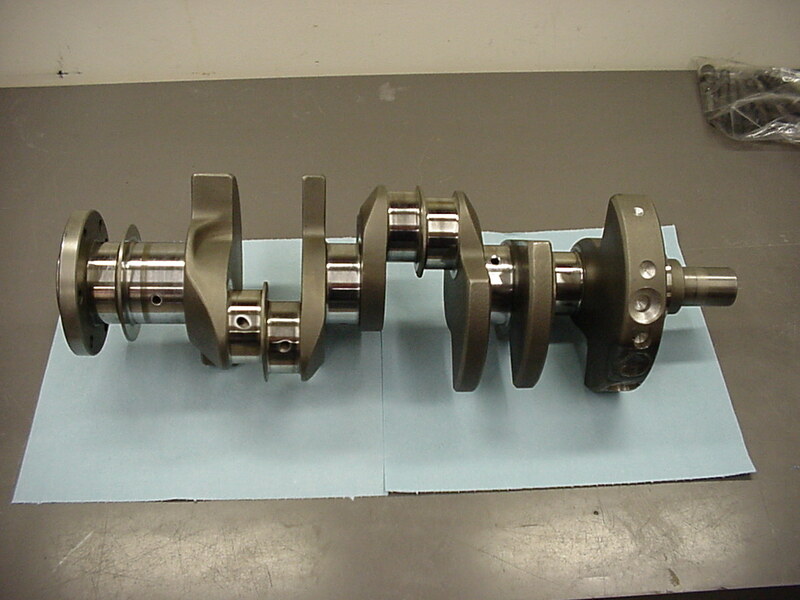 The difference between the blocks is the cylinder banks were shifted fore/aft approximately .120"-.125" to center the rod over the piston pin. When the banks were shifted, the crank, mains saddles, cam and lifter bores remained in the stock production location. With the banks shifted, when the heads are fastened, they are also shifted. 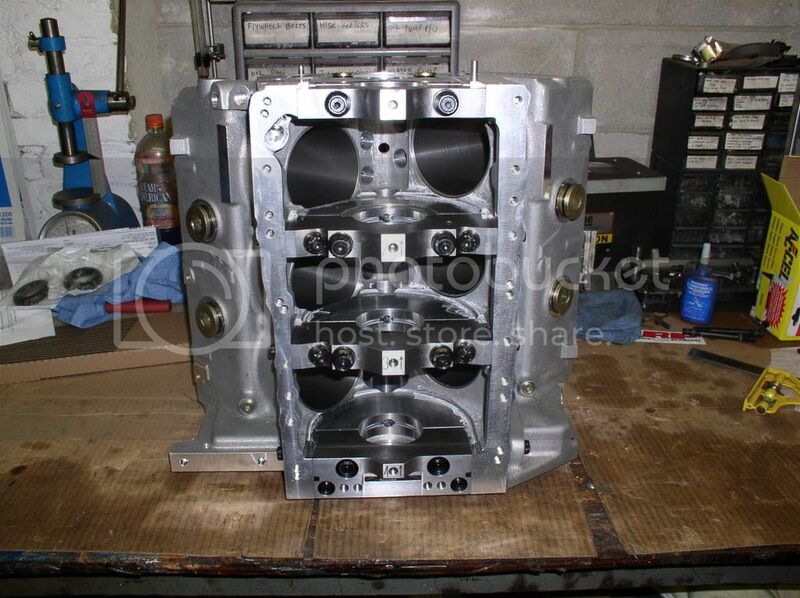 That means the stock/stock style intake, headers and rockers/lifters will not line up. The stock "109" block is an off center block. 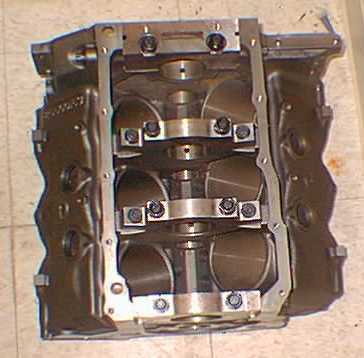 A stock production block (off-center) has the connecting rod shifted to one side. I'm not going to go into detail how to adapter off-center components onto an on-center block. Use the search feature, there is a ton on it. The experts say that the on-center block could handle more power due to the centered rod. The off-center could handle around 1250HP and the on-center around 1600HP. The higher HP cars use an on-center version. Have a bad tune, it's going to be a bad day with either version. I going to leave this thread open for others to add. If this thread goes off in a tangent, the posts will deleted and the thread locked. Hey Billy didn't Anderson have an off center block in his mid 7 second car? Maybe im wrong but I could have sworn he did. Nice little write up btw. Good info Billy. I'd say lock it and make it a sticky. This gets asked enough that it would be good to have on top. BillyT-thanks for the informative explanation and great pics! Is this a Double-Off-Center engine; or a speed trick that has been kept from me? If you flip the bottom rod--that puts the small end closer to the piston. Looks to me like the top rod is on backwards. Unless I'm missing something. Maybe it's just the way the picture was taken. Things don't always look right in really close pictures like that. Here's what my present project looks like. As you can see the rod's beam when properly installed is moved toward the direction of the split between the two rods. The pics posted by gntxc2 are correct. The big end is higher on the bottom of the crank than the top if you look carefully. If the rod was in backwards it would have no gap at all on the one side of the piston. 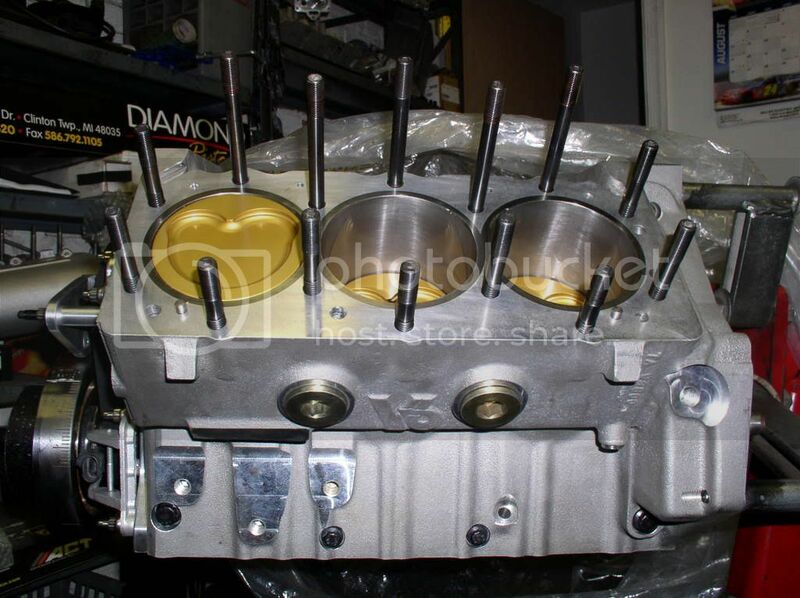 The aftermarket rods/pistons are wider at the pin locations, thats why it appears to have installed wrong, but it isn't. Those look like a set of ATR rods. I have a set and have used them without issue. They actually are in-between off-center and on-center and have about a .030-.040 offset in them, but some only had about .007 offeset, they were all over the place. I posted on the board they are selling a product that is really not a true off-center item them before they went out of business, and they emailed me back saying that I was extorting them over the internet and never was able to get a refund. Power source say the stage 1 blocks have the same oiling passages as a production blocks. Where the stage 2 (even tho stage 1 and 2 are the same casting) have priority main oiling drilling. Has anyone verified the stage 1's are indeed like the production oiling strategy?